Piper PA-22 Colt G-ARNH, as flown by the author, with Stu Waring at the controls. 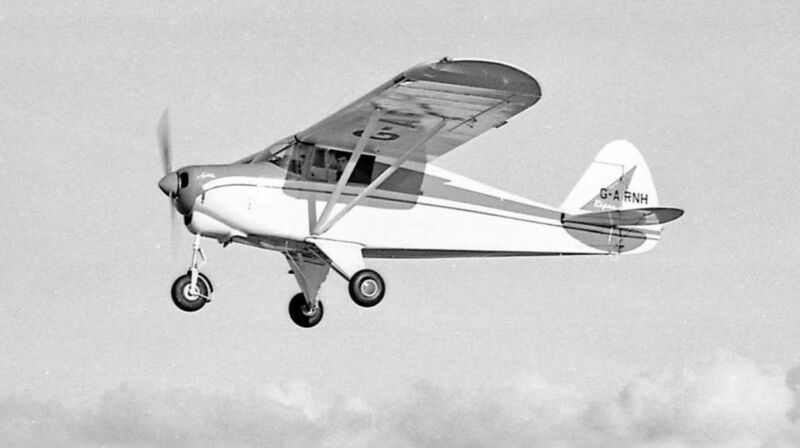 Although the author managed to keep it in one piece when flying it, it was eventually damaged beyond repair at Blackbushe in September 1972. 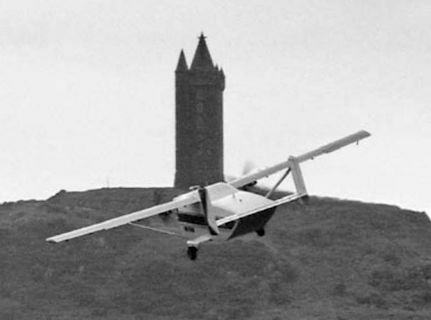 With the tower in the background, Short Skyvan 2 G-ATPF is demonstrated at Newtownards in July 1969, having flown the ten miles from the company’s factory at Sydenham. 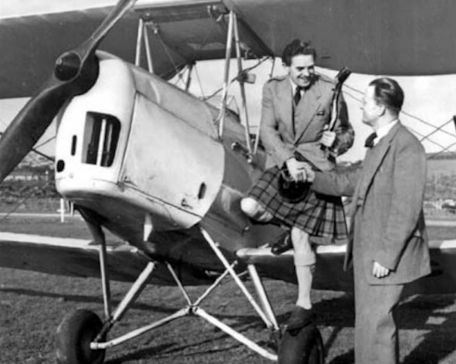 Leopard Moth G-ACLL is refuelled at Newtownards in June 1964. 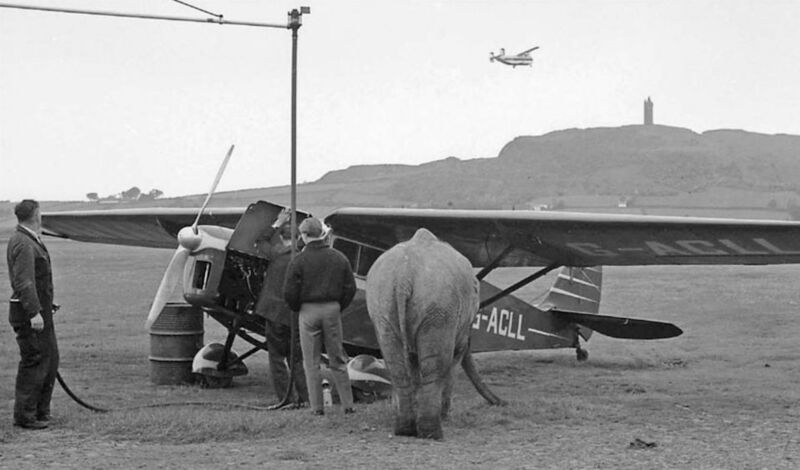 The elephant was going to be photographed in the Skyvan seen in the background to highlight the latter’s capacity - but Nellie had other ideas. 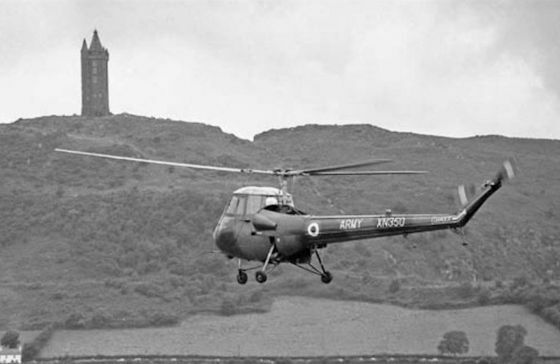 Saro Skeeter XN350 gives a nod towards Scrabo Tower in August 1966.